Immediately before cooking beets rinse under cold water, cut off the roots. We do not peel them from the skin, making it retain its color and valuable trace elements. Beets put a small amount of cold water. We boil for 2 hours, depending on the size: small - 1 hour average - 1.5 hours, large - 2 hours. Time start to count from the time of re-boil water. Water does not add salt. Boil under cover - this shortens the processing time and reduces the loss of vitamins. To check whether the beets are already cooked, you can stick a fork or a knife. If it falls softly, they are ready. 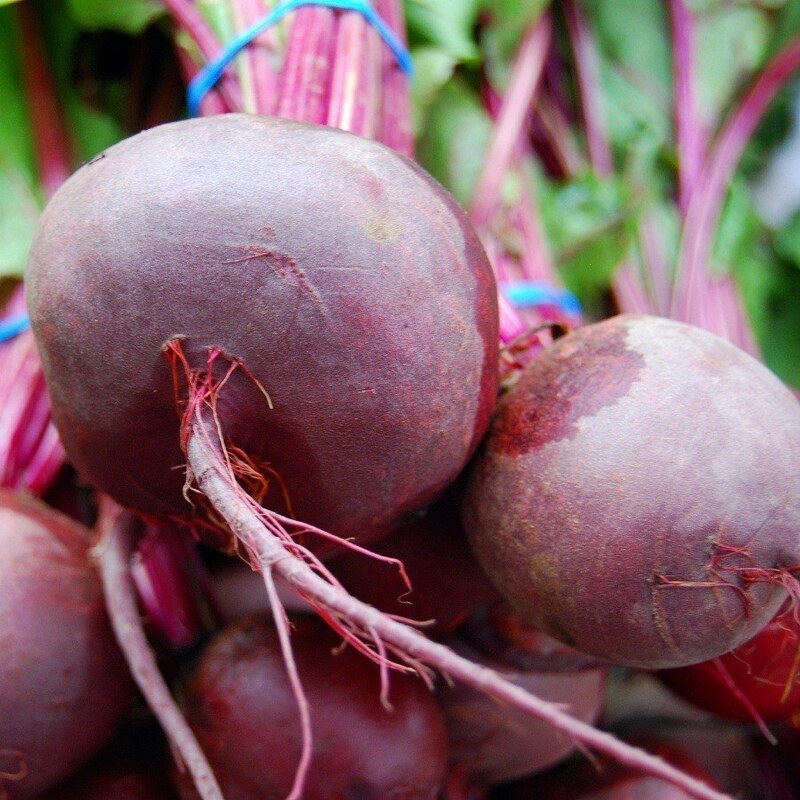 When cooked, drain off beets and peel, which is very easy to go away if you immerse them briefly in cold water. Beetroot served warm or cold in addition to dinner.